When Sam's five year old twin brothers are carried off in a runaway hot-air balloon, Sam tries to save them, only to end up trapped himself. Ages 8-12. 'My little brother lay in the bottom of the basket with his head slimed sideways, I took a closer look. Jordan's face was blue ...' When Sam Fox's twin brothers, Harry and Jordan, are carried off in a runaway hot-air balloon, Sam tries to save them - only to end up trapped himself! What starts as a joy-ride turns into a life-and-death struggle when Jordan is bitten by a funnel-web spider. Will Sam be able to land the balloon in time to save his brother? 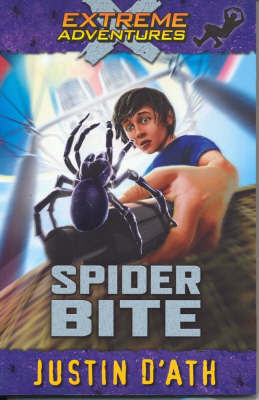 An action-packed, thrilling ride, Spider Bite is the most gripping Extreme Adventure yet! Visit puffin.com.au/extreme for more.